He never ran a country, led an army, or wrote a book. He lived and died in a geographic backwater. But today two billion people round the world claim to follow him. Yet for someone who has had so great an impact on history and human civilization, who Jesus Christ was and what was his message, is remarkably poorly understood. Nick Page cuts to the core of what the historical Jesus said and did: his teaching, stories and miracles. Above all he outlines Jesus’ radical message, which was at the same time both inspiring and offensive. 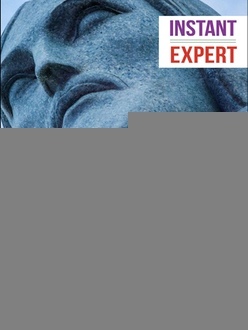 The Instant Expert series is a “first-steps” introduction to a topic – simple, easy to access, and clearly designed. They are authoritative and reliable and will tell you everything you need to know, in an hour’s read, to bluff your way through a dinner party.